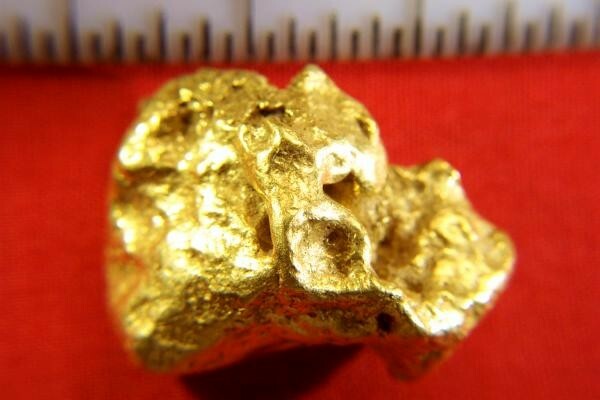 This beautiful Australian Gold Nugget is a hefty 58.5 Grams (1.88 Troy ounces). 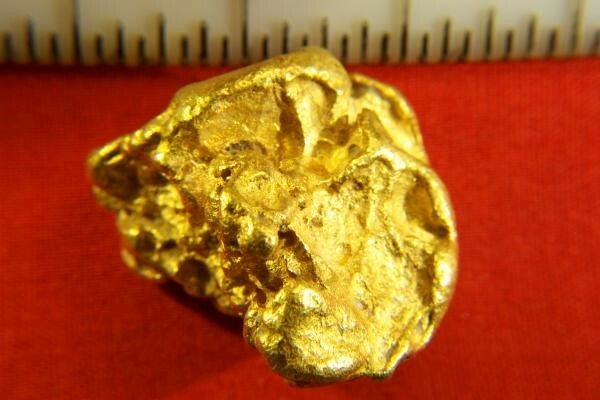 A great size for a collectible gold nugget. It is approximately 1" long and it is quite fat. It has beautiful color and texture. 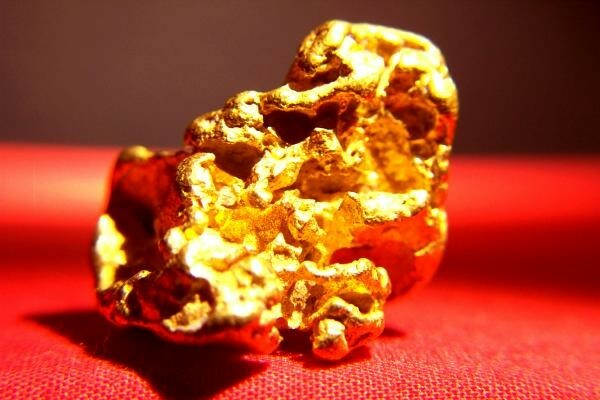 Natural Gold Nuggets over one ounce are very difficult to find for sale, and they will only get more rare and valuable because all the easy to find gold nuggets have already been found by prospectors. This beauty is 95% to 98% pure (22 KT to 23 KT).